Me and my family do a lot of our shopping at Wal-Mart, in fact we almost do all of our shopping at Wal-Mart. Wal-Mart seems to be a very controversial store when it comes to its reputation. 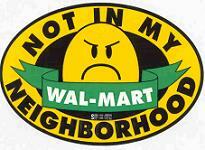 Some people love Wal-Mart and other people hate it. I have some family members who refuse to even step foot in the store, while other families members do most of their shopping at Wal-mart like me. So I got a couple questions for you. 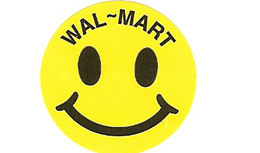 What are your thoughts on Wal-Mart (good,bad)? If you have some insight into why they are good or bad where did you get this information? If you have any preferences one way or the other I really would love to hear your thoughts.